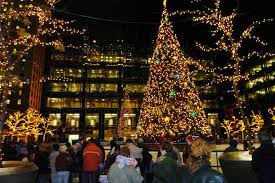 Even though we haven’t carved into the Thanksgiving turkey yet, Pittsburgh is just about ready to kick off the two month-long holiday season with Light-Up Night in a week. The event features 30 food truck, five tree lightings, a live crèche and fireworks at 10 pm. Several trees scattered around the city illuminate at different times throughout the night, each giving way to a series of holiday-themed shenanigans. You’ll enjoy multi-genre music entertainment, explosive fireworks and creative ice sculptures. Keep informed about the events.